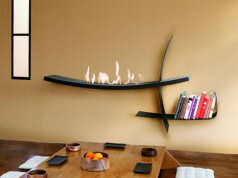 A Tube bio ethanol fireplace by Acquaefuoco is a ultra modern design that is sure to become the focal point of your living space. 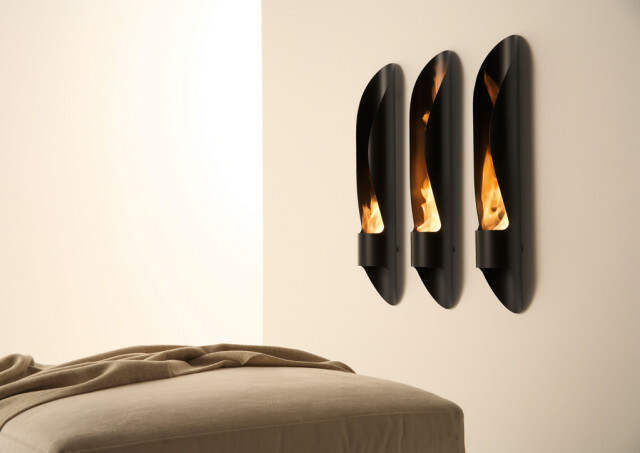 It was designed by Mario Mazzer with a view of creating a pleasant atmosphere in the domesticity of the burner, where we regain our strength after the hardships of everyday life. 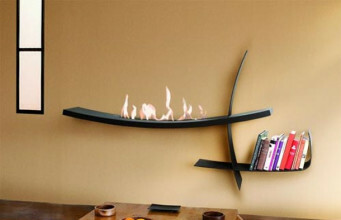 The harmonious shape of the bioethanol fireplace was achieved by laser cutting of the tube. 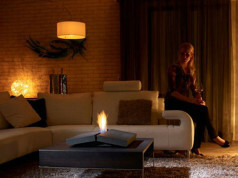 Bio fire is offered as an option for hanging indoors, as well as to mount it outdoors. 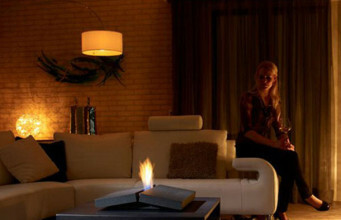 The structure of a bio ethanol fireplace is 16 cm in diameter and 1 m high. 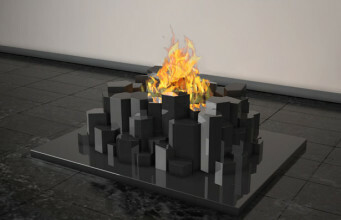 Tube has a circular fuel tank placed inside the structure, which allows for 2.5 – 3.5 hours of burning. 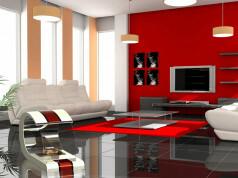 The whole is made of powder-coated steel, resistant to high temperatures. The basic colour is black, while the outdoor version has also a white variant. 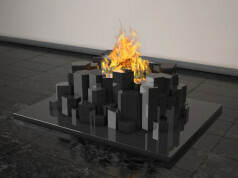 The design of this bio ethanol fireplace has gained wide acceptance in the industry and this model is the winner of applied art contest “Red Dot Design Award 2010”. 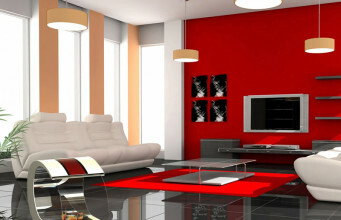 Because of its narrow shape the Tube will be a very good idea to vary the space, e.g. 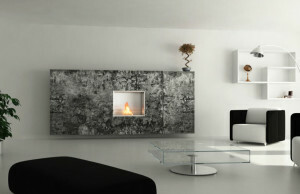 next to the TV set in the living room or the bedroom, where the heat from the fireplace will warm up the atmosphere of a romantic evening.